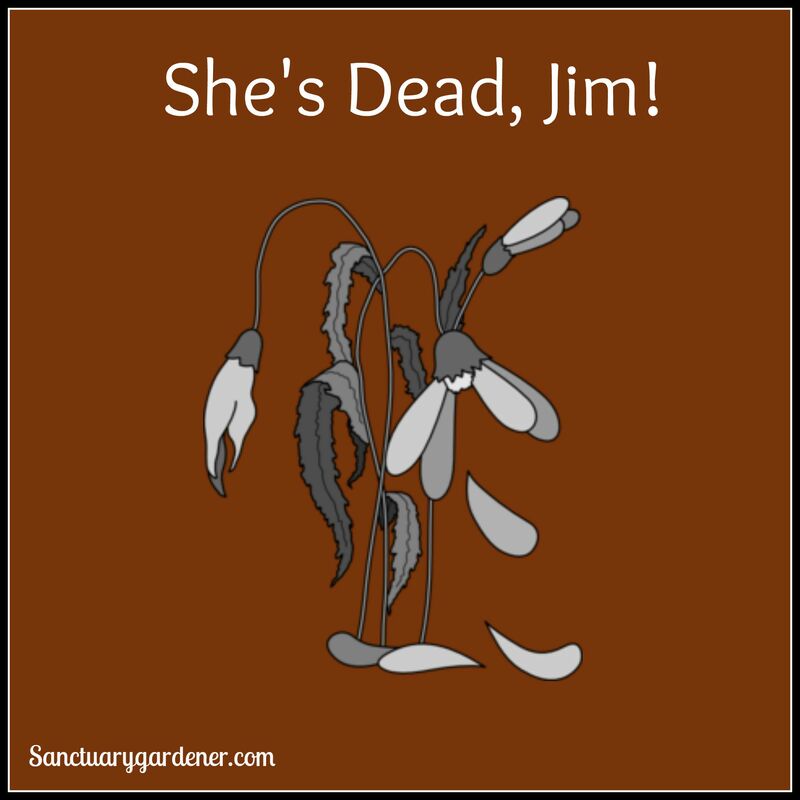 As we march towards first frost, I’ll share pictures of plants here and there, but the How My Garden Grows series is over for the year. (I promise I’ll still do the slide show in December for everyone.) That said, I have a couple pictures for you, taken a couple weeks ago (when the sun was shining — that yellow orb we haven’t seen in days and days). My chili peppers are still growing and producing, and so are my squash and pumpkins. I have watermelon vines, but no melons – that I’ve noticed lately, anyway. 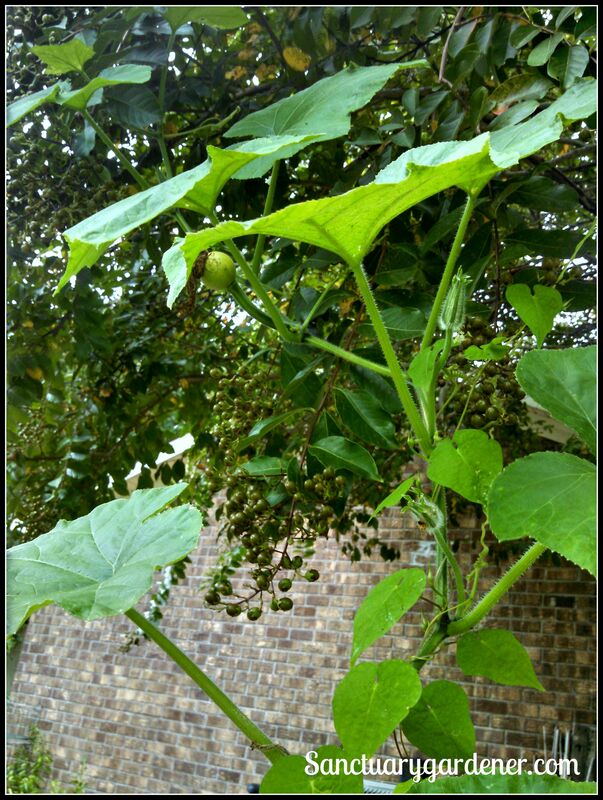 My black futsu squash, planted in the corner, has one vine growing along my fence. 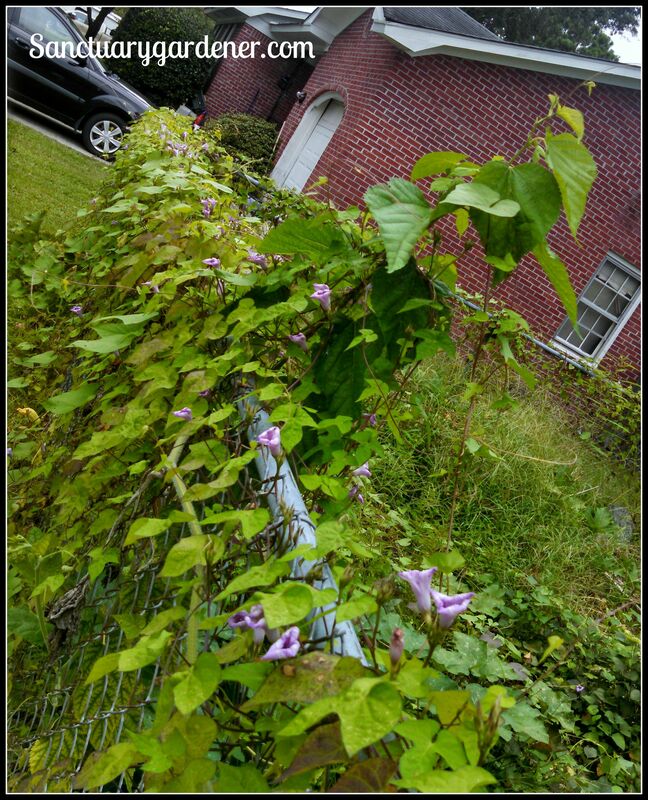 Some morning glory vines are growing (self-seeded — I can’t seem to get rid of them!!) and the two have intertwined so well, they’re standing up without support. So, I apologize that I will not have garden pictures for you tomorrow and Thursday. However, I spent this evening creating a recipe, using my Black Futsu squash (winter squash). It came out so fantastic, I will be sharing that with you tomorrow.